The Speed Twin will join Triumph's 'Modern Classics' model line-up. Triumph Motorcycles India has revealed the launch date for its new Modern Classic motorcycle - the Speed Twin - which will be launched on 24th April. 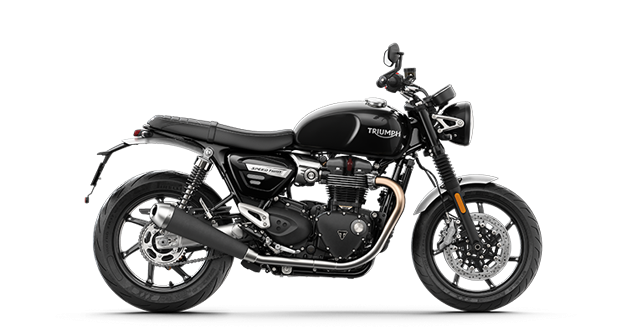 While the updated Speed Twin made its global debut in December last year, it went on to become Triumph's 12th model in its Modern Classics line-up, joining other models like the Street Twin, Scrambler 1200 and the Bonneville. Dealers inquiries also suggest that Triumph has already commenced the booking procedure for it and deliveries are expected to begin by the end of the month. The Speed Twin will come powered by the same motor which powers the Thruxton R and the Bonneville T120, which is a 1,200cc parallel-twin motor generating 96bhp and 112Nm of torque. However, to achieve some weight shedding, Triumph has used some advanced materials (like a magnesium cam cover) for the Speed Twin, resulting in a weight loss of around 2.5kg over the Thruxton. However, despite a larger motor and a marginally bigger fuel tank, the Speed Twin weighs less than the Street Twin. Also, unlike the Street Twin, the Speed Twin gets 17-inch wheels at both ends. Feature-wise, the Speed Twin comes equipped with ride-by-wire tech, ABS & switchable traction control, three riding modes (Road, Rain and Sport), a torque-assist clutch, LED lighting, USB charging, immobiliser and a Tyre Pressure Monitoring System (TPMS). Expect the new Triumph Speed Twin to carry a price tag of around Rs 10.5 lakh, a price point at which it will compete against the likes of the Harley Davidson Roadster.